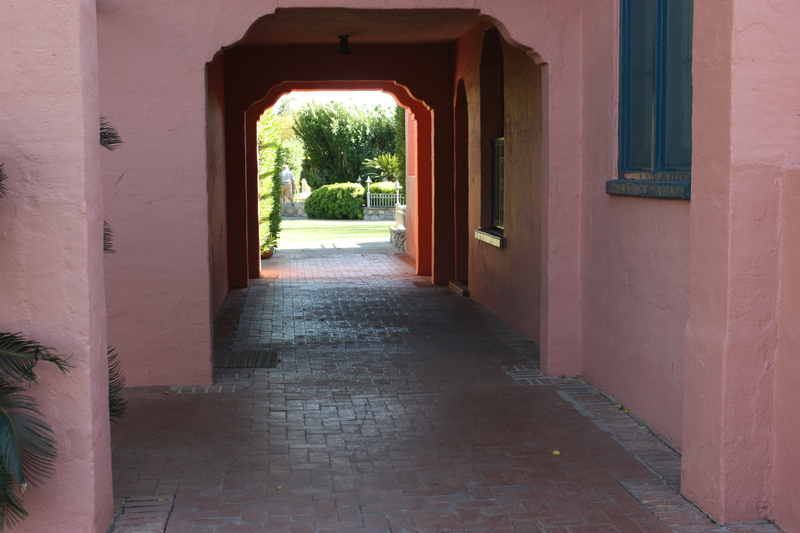 As we approached the Arizona Inn, my first impression was “its right in the middle of a local neighborhood”, as opposed to being nearby any businesses or office buildings. And my first impression was correct. It was in the middle of a suburban neighborhood which had built up around it, over the past 85 years. 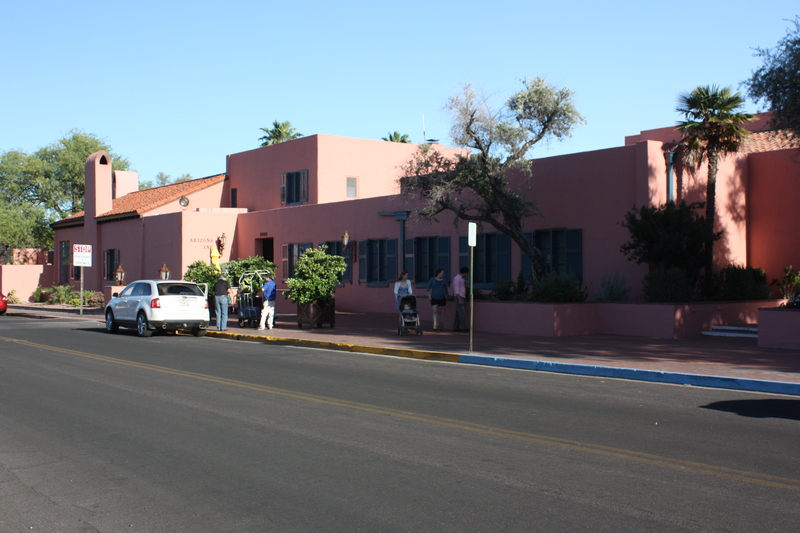 The Arizona Inn opened in December 1930, right at the height of the depression and had been designed and conceived by Isabella Greenway as a means of putting skilled tradesmen to work during difficult times. Greenway was a successful businesswoman and social activist who was the first U.S. congresswoman in Arizona History. 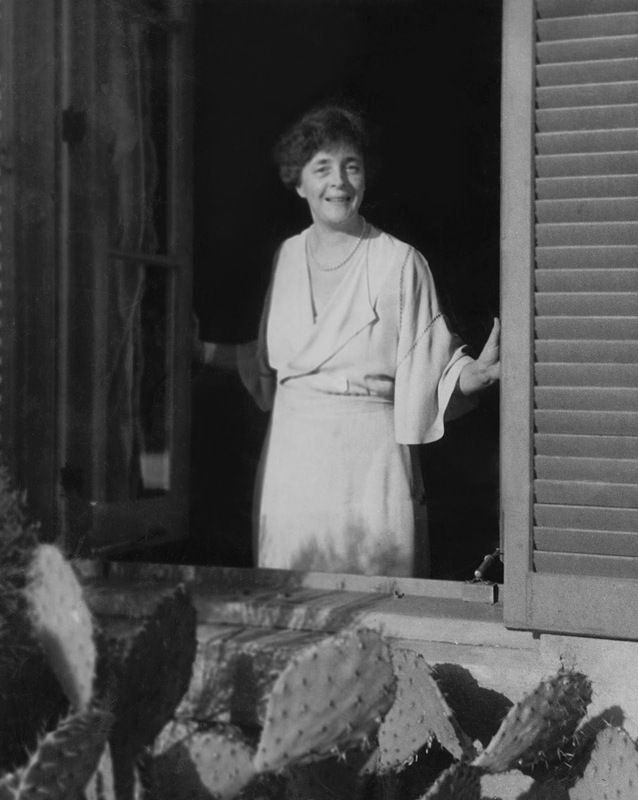 In addition to founding the Arizona Inn, she was also noted for having been a speaker at the 1932 Democratic National Convention and a bridesmaid at the wedding of Eleanor and Franklin D. Roosevelt. 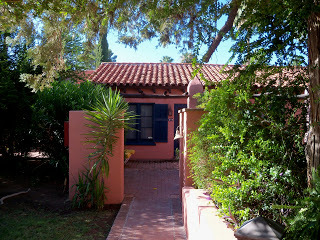 The mission of the hotel when she first opened it was to be “a sophisticated desert retreat giving its guests comfort, privacy, quiet and sunshine”. She managed to accomplish just that, for over the next 30 years it became a favorite escape for some of Hollywood’s biggest stars, including Gary Cooper, Clarke Gable, Spencer Tracey, John Wayne, Bette Davis, and Cary Grant just to name a few. Her life-long friendship with Eleanor Roosevelt and FDR also meant that the Inn was well-known in Washington Political circles, and attracted many of the nation’s most important politicians of the day. 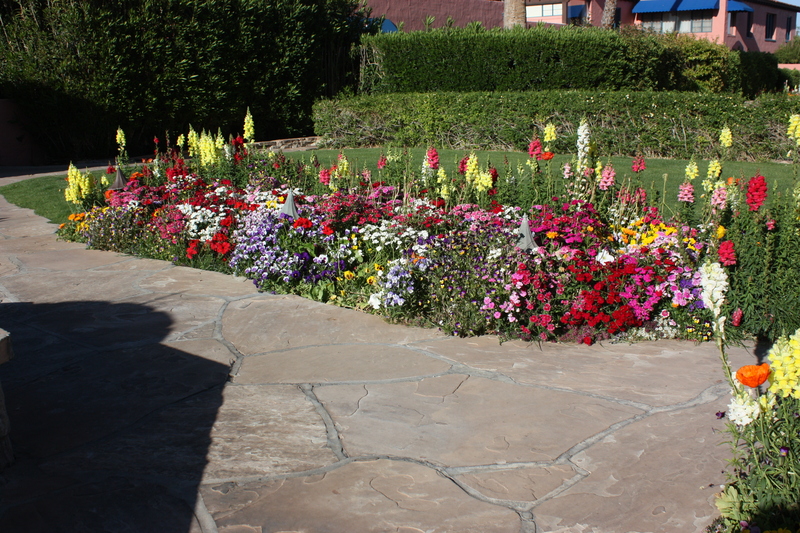 The Inn, its’ gardens, and the grounds encompass more than 14 acres of land on what was once the outskirts of the city. 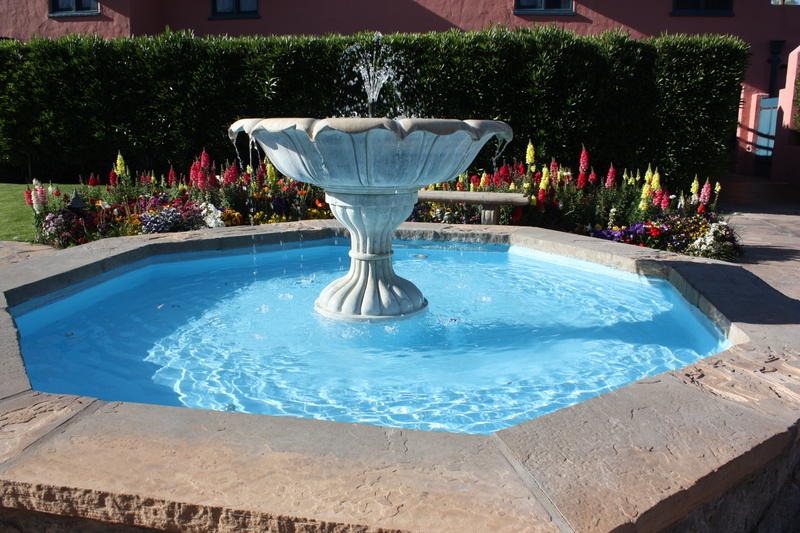 In addition to the main building and the guest cottages, there are Tennis and Badminton courts, a Croquet pitch, a swimming pool, and a number of private “quiet spots” where one is surrounded by water fountains, flowers of all types and colours, and hummingbirds! It is truly a magnificent facility and it is everything that people said about it in Trip Advisor. Variably described as the “Jewel of the Desert”, and an “Oasis in the city” it is one of the most written about and award-winning hotels in the United States, receiving accolades from every major tourism and hospitality publication one can think of including Conde Nest Traveller and Travel & Leisure. When we arrived, we were met by a delightful young busboy who escorted us to the front desk and later took us to our cottage. 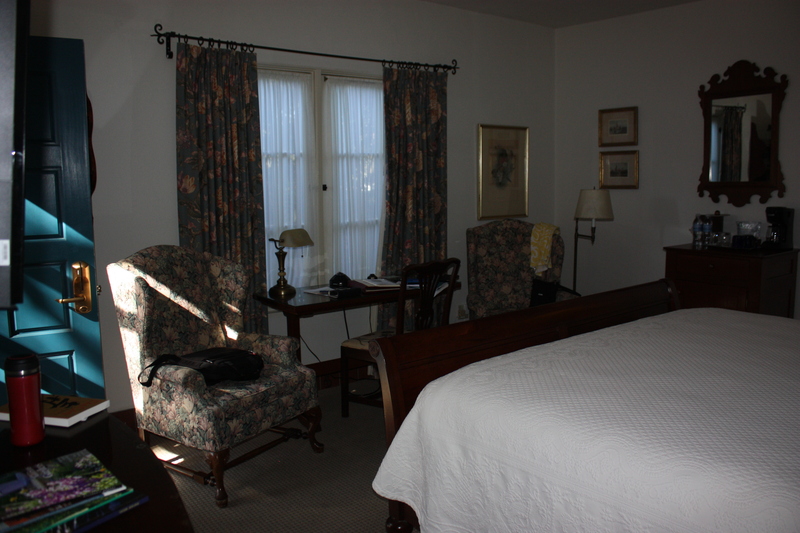 The staff were helpful and pleasant, and gave us a book to read about the history of the hotel and its’ founder. We were also told that we would have copies of the New York Times and Wall Street Journal delivered to our cottage first thing each morning, and that we could either dine in our room, dine at a private table outside our cottage, eat on the patio, or at one of the dining rooms in the main lodge. Oh, and we were also told that we were just in time for complementary afternoon tea that was being served in the library. 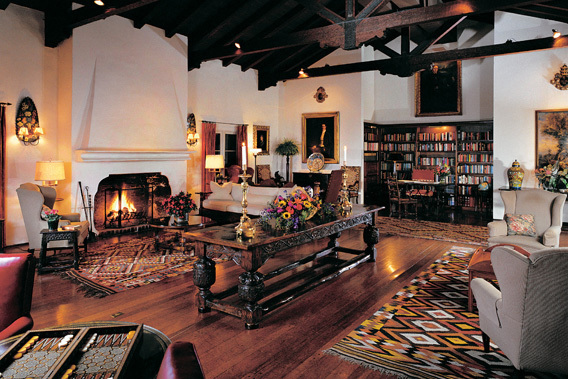 Another busboy gave us a tour of all the rooms in the main lodge while our bags were being taken to our cottage and we found out that most of the furniture is original from the 1930’s, and that the library includes an incredible collection of first edition books. Mary and I were then shown our cottage, and as we approached it, and looked inside for the first time, we glanced at each other and with our eyes said “this is pretty neat eh”? 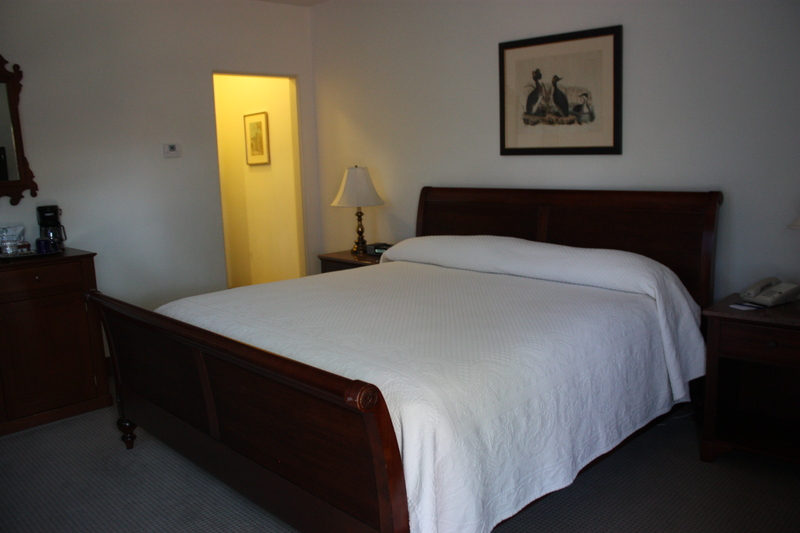 The room was decorated with beautiful antique furniture, and it also had a large oversized closet. The valet explained that in the 1930’s, most of the guests arrived via train, steamer trunks in tow, so it was necessary to have large closets in order to store the trunks once they’d been unpacked. Once we were on our own in the room, we began checking everything out. 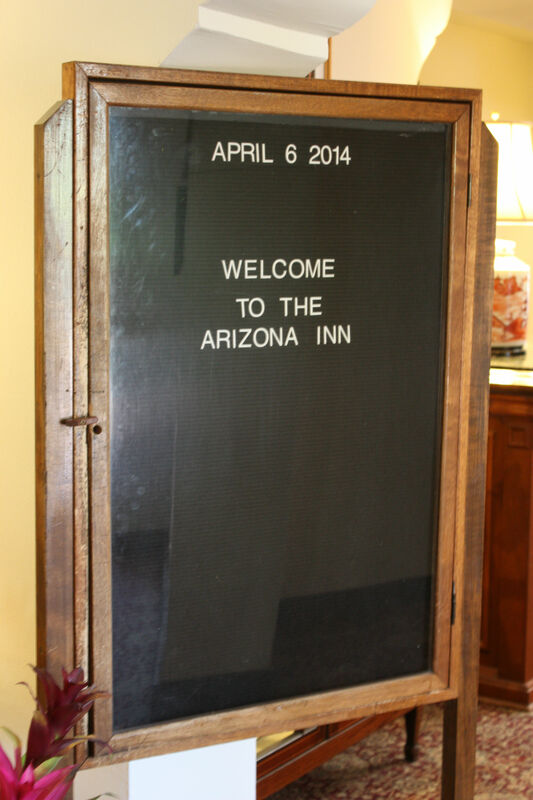 A card on the desk told us that out of respect for the “stars” that had stayed at the Arizona Inn through the years, the only movies that were available for viewing were those of those famed actors and actresses I mentioned earlier, along with Danny Kaye, James Stewart, Katherine Hepburn, Bob Hope, Frank Sinatra, and Bing Crosby. Oh, and they also had a complete library of every Disney Family movie ever made. 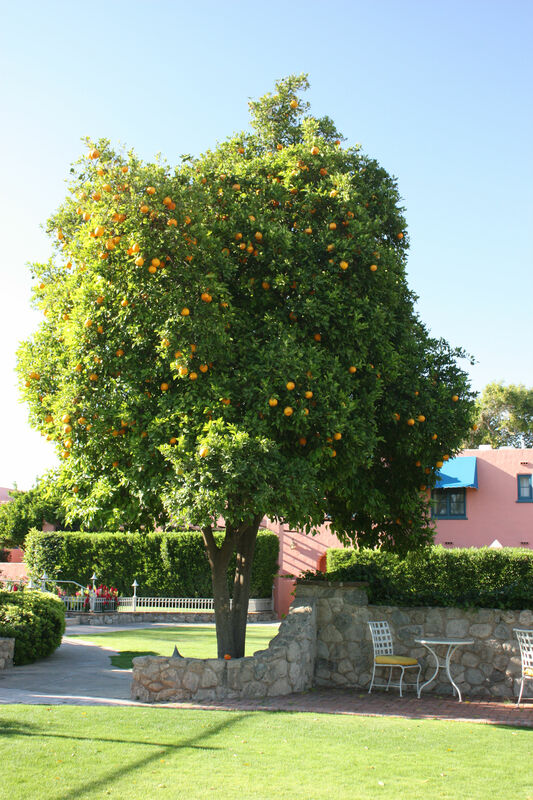 We left our things unpacked and wandered the grounds, and that is when we first became aware of the only thing that put a damper on our stay at the Arizona Inn. The other guests were quite impressed with themselves and many had their noses up in the air as they moved around. It reminded us of an exclusive country club where new people have the money and stature to belong, but they are looked down upon by the “old money” members. The place had the most disappointing vibe as a result and it sadly took away from what was an otherwise an incredible experience. We went for a walk in the neighborhood and then came back for a delightful dinner during which an older gentleman came in, sat down at the piano, and played jazz and classic songs from the 30’s through the 60’s while we ate. It was very, very nice. It really is a shame that our lingering take-away from the Arizona Inn was of the snooty guests who were there and prompted us to quote Caddyshack lines to each other for the next few days – “that’s a peach hon”, I’d love to go back another time and see if it was just (bad) luck of the draw on our part, as far as the other guests were concerned, or maybe we’re just not pretentious enough to stay there. Regardless, it was truly one of the most beautiful places we stayed at during our entire trip, and well worth the money. Previous Post Tucson, At Last! 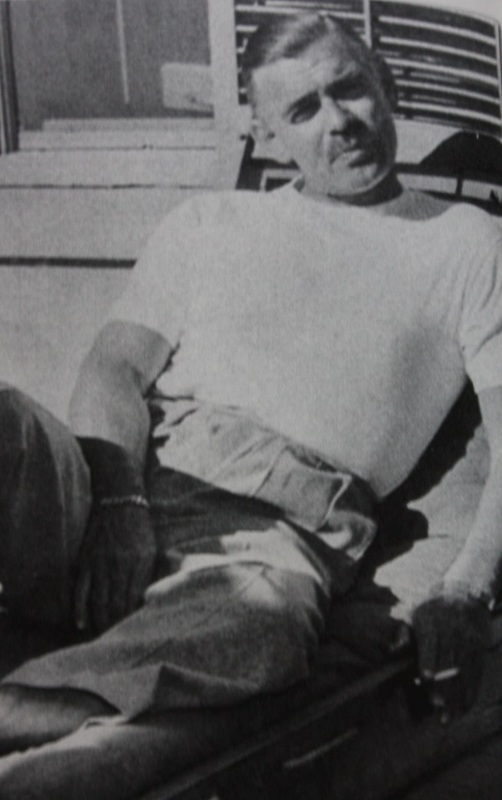 Next Post Thank Goodness for John Dillinger….